We are leading manufacture of twist mop cotton and microfiber. 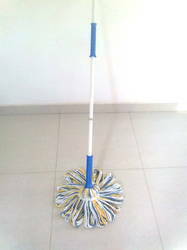 Our company is very experienced in manufacturing and supplying Microfiber Twist Mops. The mops which we offer are used to wipe wet floors as these are fitted with long thin strings for proper absorption of water. These mops are mostly used to clean the tiled floors of houses, hotels and offices. The wet mops are very durable and efficient to use as these are made using quality light-weight materials. We offer these Microfiber Twist Mops in many sizes and designs for the various needs of our patrons. 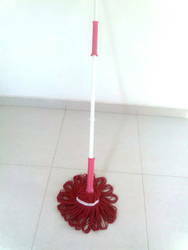 Our organization is a leading name in offering Twist Mop to our clients. We are presenting our range in varied dimensions or options to our clients. It is an important cleaning product and plastic body provides support to fabric for removal of dusts. Experts have used best technique to ensure that our clients get quality range from our end.